The Tuccaro Group celebrates National Aboriginal Day! National Aboriginal Day is a day recognising and celebrating the heritage, diverse cultures and outstanding achievements of the First Nations, Inuit and Métis peoples of Canada. For many generations, indigenous peoples have traditionally celebrated their cultures and heritage on or near the summer solstice. This day is an occasion for all Canadians to celebrate the rich contribution Aboriginal people have made to Canada. Come down to Snye Point Park between 11am – 5pm today for traditional dance, fish fry and family activities. The event is free and open to the public. A proud Aboriginal company, we would like to thank all of our employees for their hard work, loyalty and dedication in helping to make us a leader within the Aboriginal community! 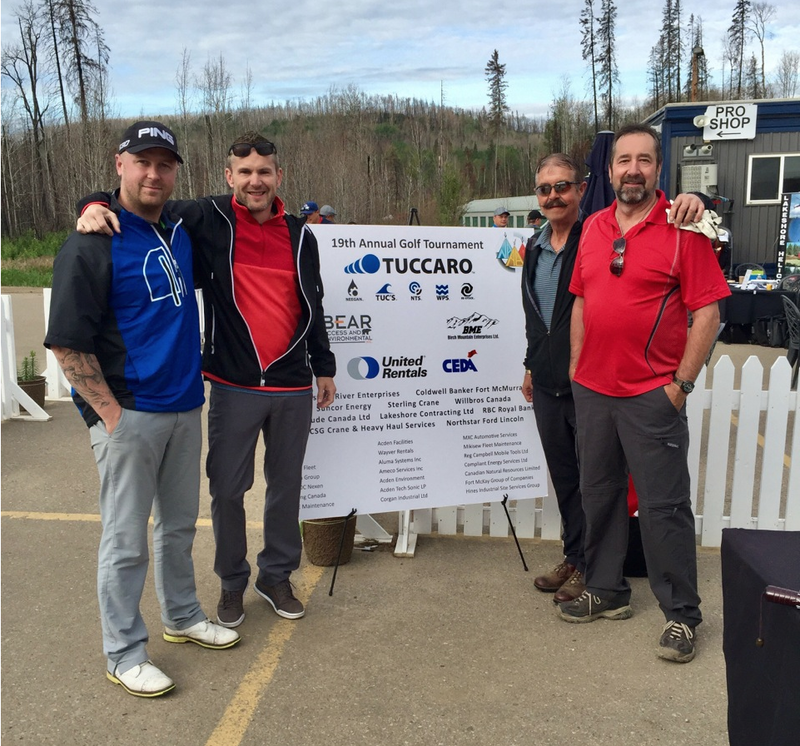 As both the forest and business bounce back, the 19th annual NAABA Golf Tournament is held on Friday June 16th with Tuccaro leading as the presenting sponsor. Business owners, industry representatives and local government officials came together for a beautiful day of golf at the Fort McMurray Golf Club proving business happens in the Boreal Forest. Thanks to everyone at NAABA and the Fort McMurray Golf Club for a successful and fun event. L to R : Shannon Stapleton, Chief Operating Officer Craig Jenkins, NTS Operations Manager Kevin Best, Neegan Development Operations Manager Lindsey White. 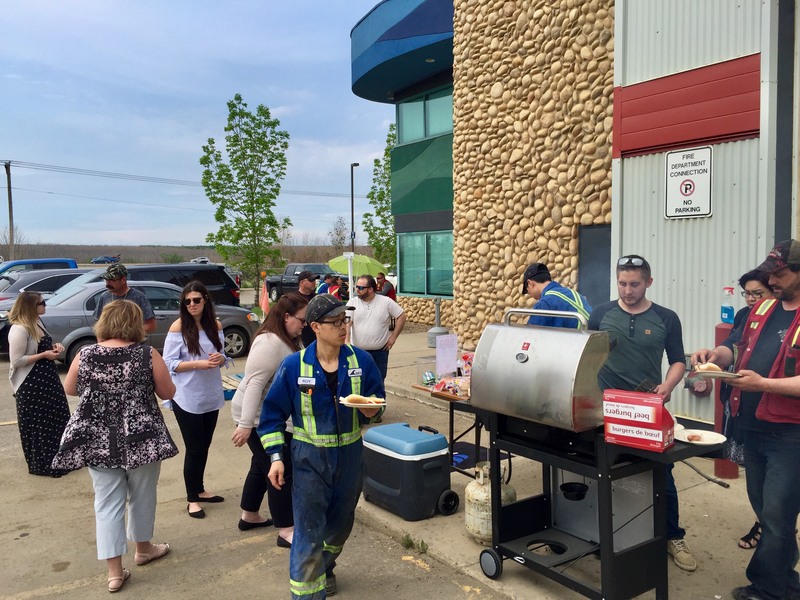 On Friday June 2nd TPS hosted a BBQ for the Tuccaro Group. Donations were collected to help the search for the 2 missing hunters in Fort Chipewyan. Employee donations and Dave’s matching donation raised $1500.